According to the Conference Board of Canada (CBoC), Vancouver’s economy is forecast to grow 2.5% in 2018, continuing a steady upward trend seen in recent years. The CBoC cautions that federal and provincial governments’ respective measures to cool the housing market and the drop in the Vancouver resale market in spring 2017 may contribute to a weaker outlook in the near term. 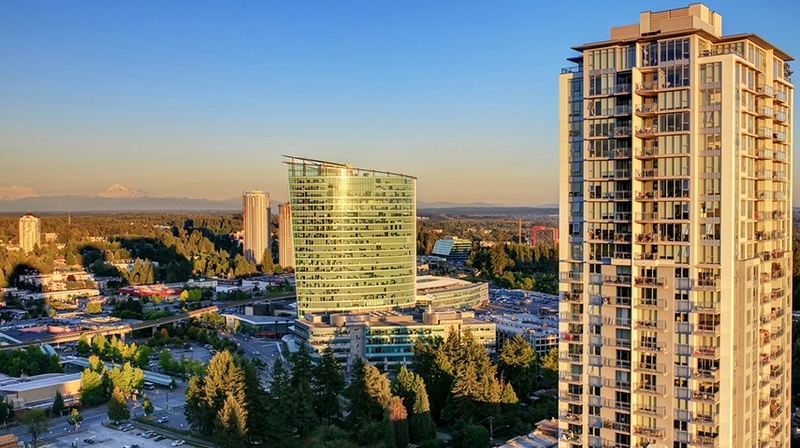 But there are also signs that the market is shrugging off the foreign buyers’ tax: the benchmark price for condos rose 19.4% between August 2016 and August 2017, according to the Real Estate Board of Greater Vancouver—though detached home prices rose only 2.2% over the same period. According to the survey, investor demand and redevelopment opportunities in Vancouver are thehighest in Canada. But regional developers and investors anticipate they’ll be more conservative in 2018 due to the impact of policy changes and interest rate hikes. As a result, industry players are preparing for an “eventual downturn” by focusing on operational efficiency, maintaining the status quo by holding off on acquisitions and being more selective and patient when building their portfolios. Vancouver is a seller’s market, observed one interviewee, and that’s driving companies that won’t stay still to move fast to avoid missing opportunities. Overall, interviewees were bullish on industrial and commercial property, as those types “require less management than residential,” as well as mixed-use and residential in “second-core” areas. In Vancouver, people are split over solutions to the region’s spiralling real estate prices and rents. Some in the region advocate that the government needs to embrace more radical thinking. Housing affordability was a top issue in British Columbia’s 2017 election. During the campaign, the NDP even promised to build more than 100,000 affordable rental, non-profit and co-op housing units over 10 years. Others feel the approvals process for new projects, including condo projects, takes too long and is too expensive—and that housing supply could increase significantly over the short term if municipalities sped up the process and reduced fees. As this years winds down, we offer our best wishes and happiness to you and your families this holiday season and look forward to another successful upcoming year! Welcome to our new website where you will find information on buying or selling a property as as well as finding a Realtor to help you along the way.